Mad Sin were born in 1987 out the hard rockin’ street fighting, heavy drinking, seedy gutter of the rockabilly/punk underworld that flourished in a Berlin still entombed by the Eastern Bloc. Not even the Iron Curtain could stop the spread of the sickness that spewed from the first incarnation of the band, Koefte, Stein and Holly when they blasted headlong into the thriving European Psychobilly scene with their first full length album ‘Chills and Thrills’. 25 years on and 10 albums later the band have grown from the angry psychobilly trio playing squats and back rooms of dingy bars to a full-sized chart-bothering multi-genre embracing globe-trotting behemoth of a band. Mad Sin now happily straddle festival stages looking the crowd straight in the eyes just as they did in 1987 though are still as eager to dive headlong into the audience at a club gig as if the past quarter century had never happened. ’25 Years – Still Mad’ is the band’s first ever DVD release and are quite rightly very proud of it. Running for approximately 160 minutes this audio CD/DVD set features their anniversary show in their home stomping ground of Berlin recorded in 2010, interviews, and previously unreleased rare footage from 1987 onwards. In addition the set includes video clips from earlier singles, a tour documentary, private tapes and a photo slideshow. 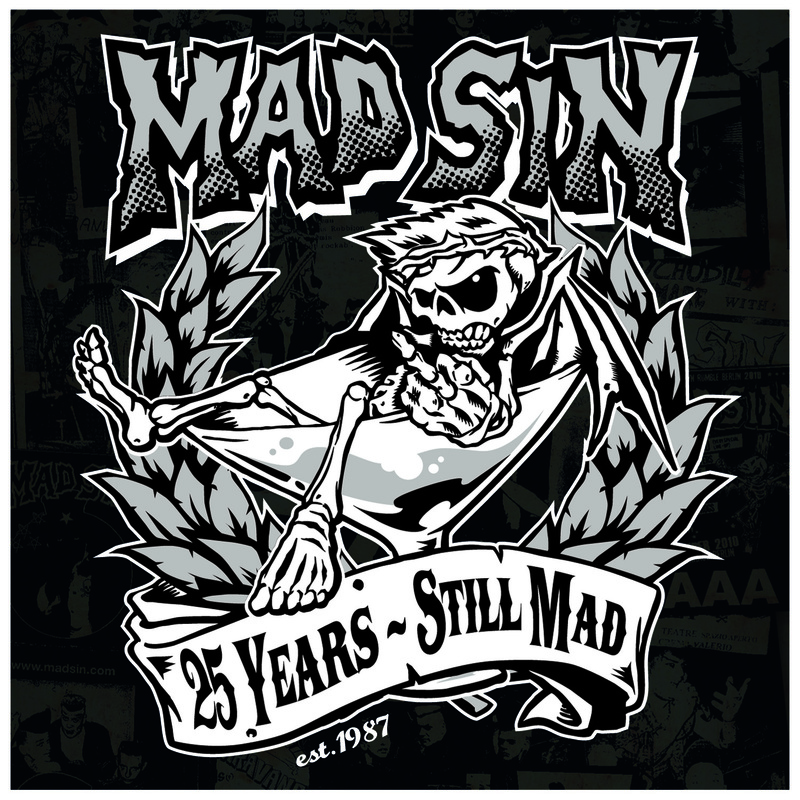 In a nutshell, ’25 Years – Still Mad’ is a near complete audio-visual celebration of the Mad Sin’s hard-fought rise to mainstream album chart success doing it entirely their own way, a fitting tribute to a band that have fought adversity every step of the way and still came out swinging. 20. Do You Want More? This entry was posted in Press Releases, Uncategorized and tagged 25 Years Still Mad, Koefte De Ville, Mad Sin, Mad Sin 25 Years Still Mad free download., Mad Sin DVD, Mad Sin. 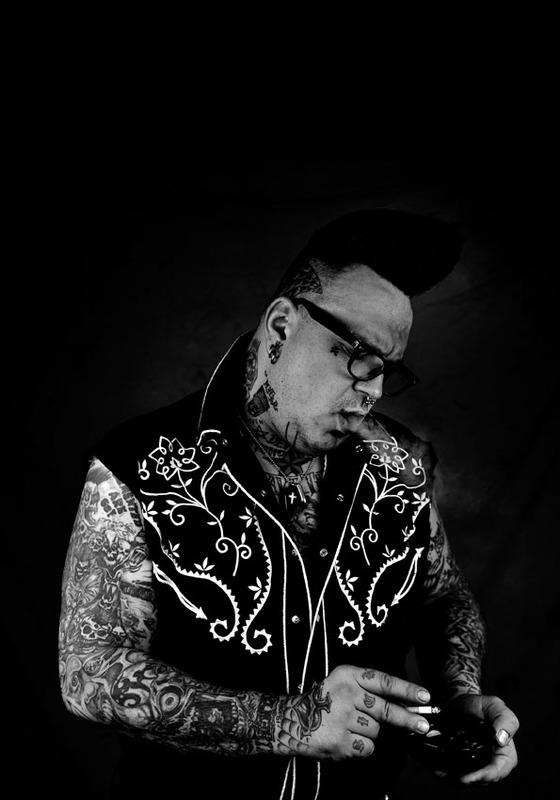 People Like You Records, People Like You records, PLY, Psychobilly, Simon Nott PR. Bookmark the permalink. ← The Best Terrible Review – EVER!